Walsh Bay is one of Sydney’s hidden gems, located right in the middle of the Harbour itself. Walsh Bay’s Pier 2 is the home of many different events on Sydney Harbour. It’s the new home of the Bell Shakespeare theatre company and it’s your location for events and shows. At Majestic Water Taxis, we’ll give you all the local knowledge and information you need. Looking for a commercial venue for a wedding reception? 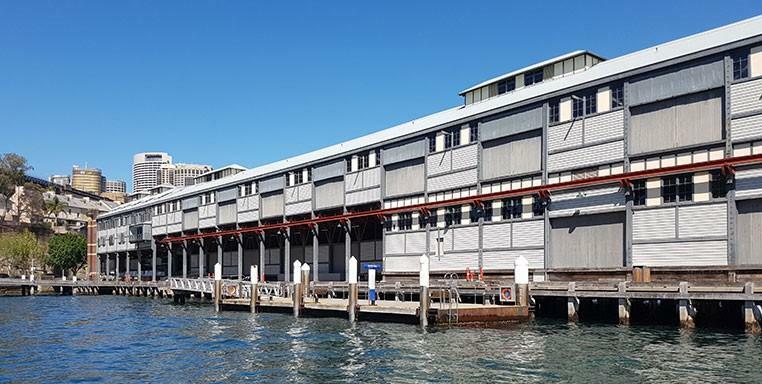 You can use Pier 2’s award-winning Simmer on the Bay facilities or View by Sydney venues. Whatever your plans, you can take a luxury water taxi tour wherever you’re going. Plan a fantastic trip with us and we’ll get you there in style. Give us a call or talk to our water taxi team and let us help you have a fabulous time on Sydney Harbour.